Celebrate a childhood classic by dressing up your PB&J for breakfast! 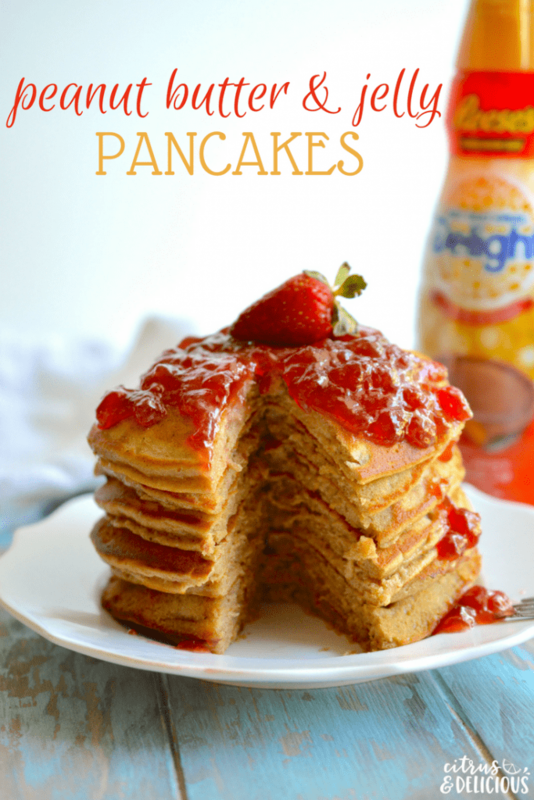 Peanut Butter and Jelly Pancakes are a delicious and fun twist on the popular sandwich. Peanut butter and jelly sandwiches might be an entire food group on the food pyramid for kids. My childhood years (all of elementary school and most of middle school) included a lunch box packed with a peanut butter sandwich (sans the jelly, because I was weird kid.) I went through phases where I insisted my mom cut all the crust off for me or I wouldn’t eat it (I am SO sorry, mom) and then graduated to settling with only the top of the crust cut off. I know I’m not alone in my peanut butter sandwich marathon years. Peanut butter and jelly is just a fabulous combo that can withstand the test of time. Kale and overnight oats may come and go, but peanut butter and jelly will be here to stay. 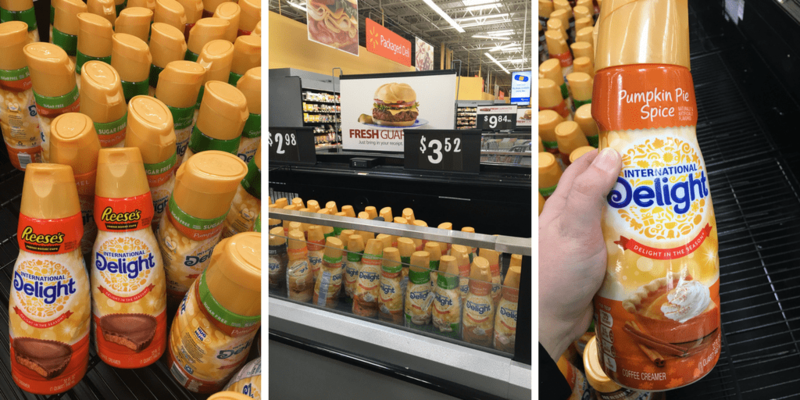 Did you know International Delight® released their International Delight® REESE’S Peanut Butter Cup creamer at Walmart stores?!? 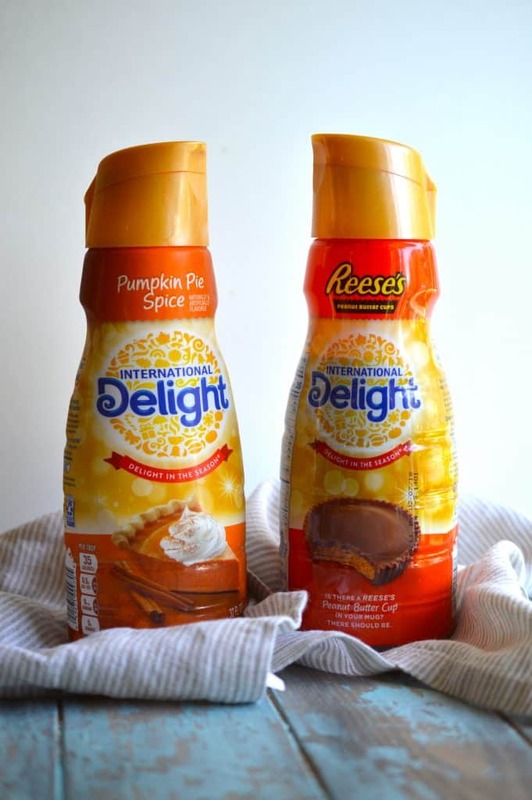 It’s a part of their seasonal line this year along with International Delight® Pumpkin Pie Spice and International Delight® Sugar Free Pumpkin Pie Spice. I saw it in the big creamer bin at our Walmart and fangirled pretty hard when I saw it, and then picked up not one, but two for my baking projects AND for my morning cup of coffee  You can’t go wrong with peanut butter and chocolate. If you think you’ve outgrown the traditional peanut butter and jelly sandwich, you might be right. When you know it’s time to shake things up a bit, give these Peanut Butter and Jelly Pancakes a try. 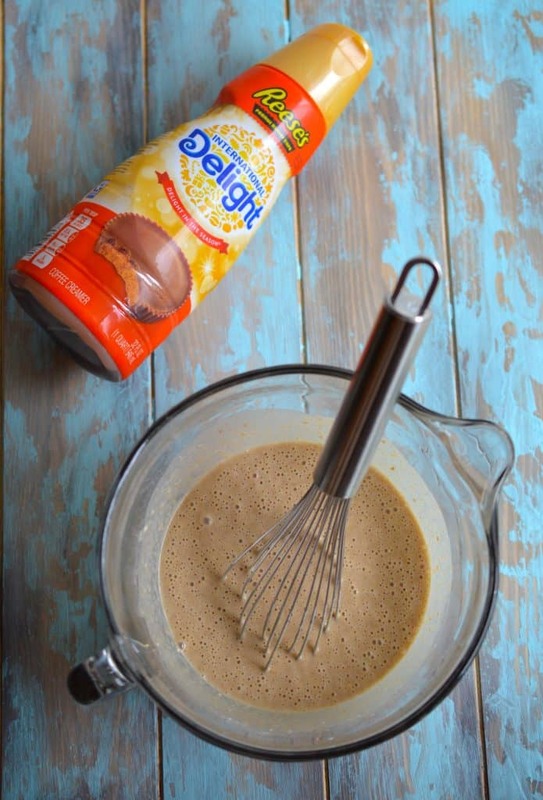 The recipe replaces some of the milk with International Delight® REESE’S Peanut Butter Cup creamer for an extra smooth peanut buttery taste with a hint of chocolate. Drizzle with a nice helping of warm jelly or jam for that classic PB&J flavor combo. 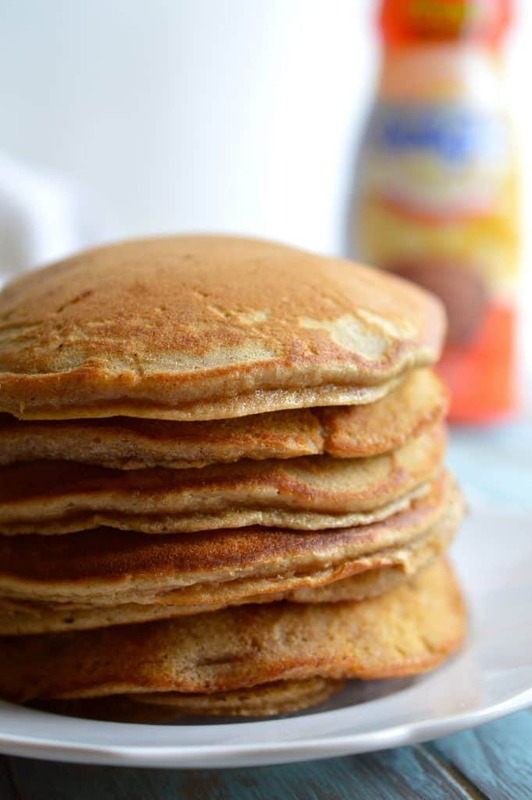 Pancakes are one of our favorite fall breakfasts to whip up on the weekends when things start to get a little cooler outside. When there’s a little chill in the air, we can whip up a batch of warm pancakes and cozy up with a piping hot cup of coffee that’s topped off with our favorite flavor of International Delight® creamer. 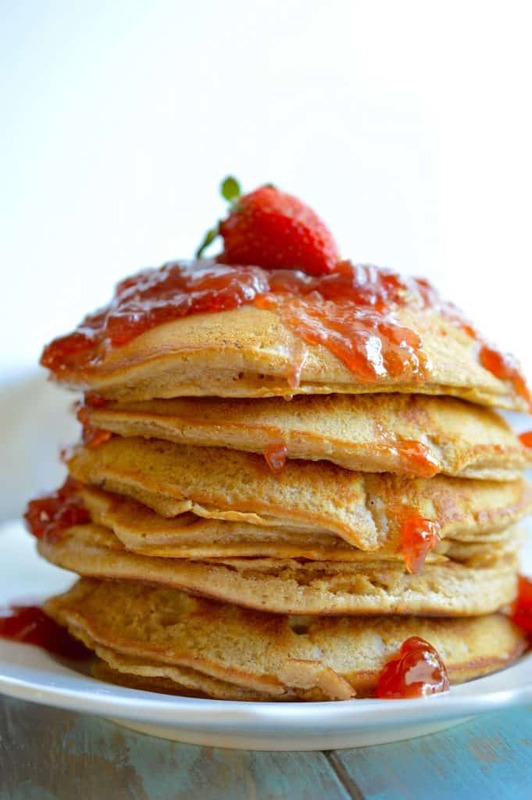 These peanut butter and jelly pancakes will keep you full until lunch and will be great fuel for fun fall activities like apple picking or navigating through corn mazes. We love our breakfast foods around here. These pancakes were everything and more in terms of flavor and texture. They were fluffy and light but also packed with rich peanut butter flavor with a hint of chocolate. 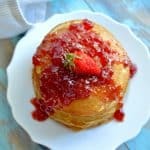 I could have gone overboard by adding chocolate chips, but it kept it sweet and simple by making these just regular peanut butter and jelly pancakes. I know this flavor is currently a seasonal offering, but I hope it extends itself into a flavor that hits shelves full-time. I will forever associate peanut butter and jelly with the start of a new school year. Being a PB crazed child, I obviously consumed most of my yearly allotment of REESE’S Peanut Butter Cups on or around Halloween, so I’ll understand if this is only a flavor available during the fall. You know me – I couldn’t stop with just putting the International Delight® REESE’S Peanut Butter Cup creamer in my pancake recipe. I added the liquid gold straight to my cup of coffee and got to relish in more chocolatey and peanut buttery flavor while getting my caffeine fix. It’s not exactly like eating a REESE’S Peanut Butter Cup for breakfast, but it’s pretty darn close! 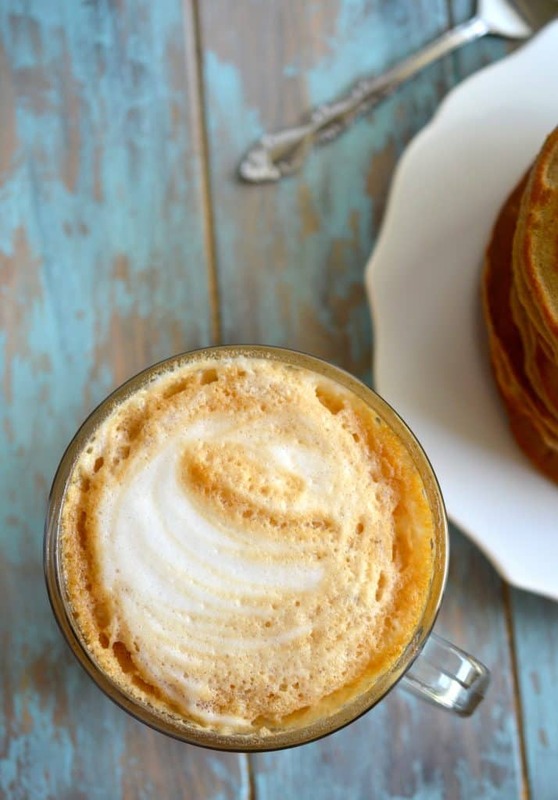 Looking for other fun ways to use your creamer other than in coffee? Check out the International Delight® social hub for more inspiration! Are you a pumpkin or peanut butter fan? I love pumpkin every now and again, but I think I’m team PB! Celebrate a childhood classic by dressing up your PB and J for breakfast! 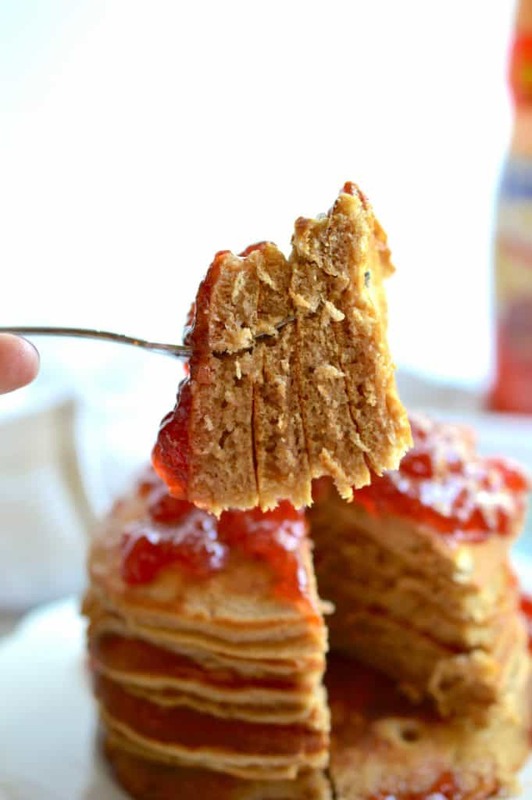 Peanut Butter and Jelly Pancakes are a delicious and fun twist on the popular sandwich. Preheat a frying pan or griddle to medium high heat on the stovetop. Grease cooking surface with cooking spray or butter so pancakes won’t stick. In a large mixing bowl, stir together the dry ingredients. This includes flour, sugar, baking powder, baking soda and salt. In a smaller mixing bowl, whisk liquid ingredients. This includes the milk, vinegar, International Delight® REESE’S Peanut Butter Cup creamer, egg and peanut butter. Pour wet ingredients over dry ingredients and whisk to combine. Lumpy batter is OK and it’s better than overmixing. Using a ¼ cup scoop, ladle batter over the preheated and greased surface. Cook for approximately 2-3 minutes per side, carefully flipping once the first side has cooked. Repeat with batter until all is used up. Remove from heat and transfer to a serving dish or directly onto plates. Serve with your favorite type of jelly (or syrup, chocolate syrup or marshmallow fluff) We used strawberry jelly. Add whipped cream for garnish if desired. Pancakes are best served warm. Enjoy! This recipe was inspired by the blog Crunchy Creamy Sweet. Previous Post: « Good Eats in Washington D.C.
Wow! 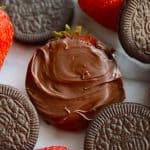 Made these this morning and they were unbelievable! I need to make them again with grape jelly.